Kevin Shattenkirk, D, St. Louis - He's supposedly available, but the asking price has to be huge. Ben Bishop, G, Tampa Bay - Do the Bolts really move him in season? Martin Hanzal, C, Arizona - If the Coyotes keep stumbling, he could be the top forward traded. Dennis Wideman, D, Calgary - Definitely available, but price tag hurts. 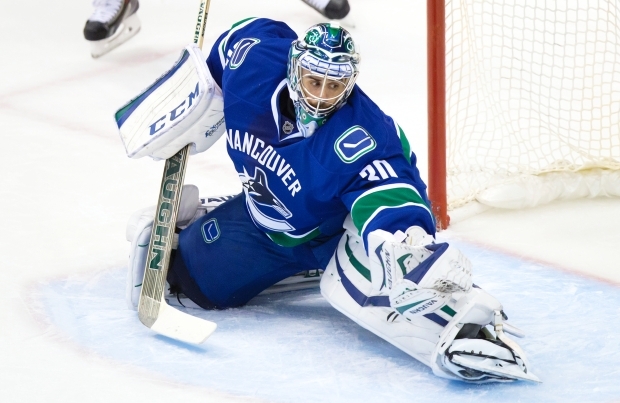 Ryan Miller, G, Vancouver - Big cap hit won't help. Ondrej Pavelec, G, Winnipeg - May move earlier as teams scramble to shore up their net. Michael Stone, D, Arizona - Only moves if AZ can't get him to re-sign. Milan Michalek, W, Toronto - Buried in the minors and expensive. Hard sell. Kris Russell, D, Edmonton - Oilers off to a good start which may mean he stays put. Alex Burrows, W, Vancouver - Another hard sell. Not the player he once was. Thomas Greiss, G, NY Islanders - Isles have a logjam in net, but may want to re-sign Greiss. Jacob Trouba - D - Winnipeg Jets - Although he re-signed, he probably still wants to be traded. Ryan Nugent-Hopkins - C - Edmonton Oilers - Has found a niche. May not move for now. Tyler Bozak - C - Toronto Maple Leafs - Babcock is a Bozak fan, but he would be a top deadline asset to move. Jaro Halak - G - New York Islanders - The Isles have made it abundantly clear that he's available. Kari Lehtonen - G - Dallas Stars - Big contract and term, but if the Stars want to upgrade in net they have to move a goalie out. Darcy Kuemper - G - Minnesota Wild - Minny have some depth with Alex Stalock; Kuemper was shopped last year. Jonas Brodin - D - Minnesota Wild - Has been dangled for help at center before. Dan Girardi - D - New York Rangers - Won't be many takers, but he's available.